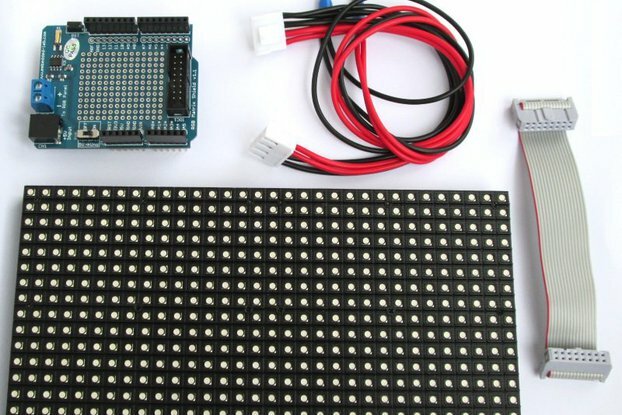 Build a 6-character LED display Arduino shield with this kit. With this very-easy-to-assemble kit, you can quickly add alphanumeric display capabilities to your Arduino project. 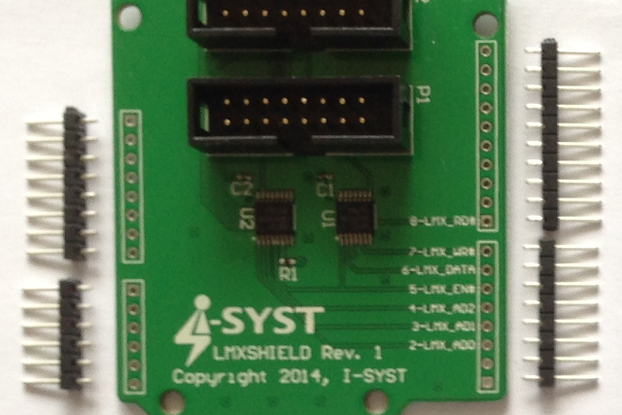 The shield uses 2 multiplexed MAX7221 chips, each driving half of the segments. The shield uses pins D3, D4 and D5. It also has a small prototyping area, useful for adding components specific to your project, like 2 buttons and a buzzer if you want to build an alarm clock (as shown in the last photo).